Death is a scary yet inevitable part of our lives. The thought of death frightens us so much that we live our lives in such a way to help us forget about it or at least be distracted from the thought of it. Personally, I think not believing in an afterlife or believing in one that is a continuation of worldly life diminishes the purpose of our life on Earth. Is life just about accumulating wealth and living comfortably? If that's enough to make anyone happy why do rich and famous celebrities who seem to have it all die from drug overdose? We will not truly understand life without understanding death. Think about it. Humans don't belong on Earth. Not forever, anyway. 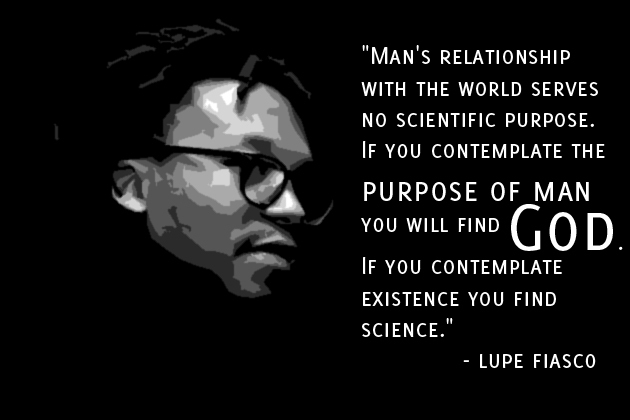 As Lupe Fiasco said on Twitter the other day,"Man's relationship with the world serves no scientific purpose. If you contemplate the purpose of man you will find God. If you contemplate existence you find science." This is why we shouldn't avoid the topic of death and what comes after it. Death is not like an exam we can choose not to take when we're not ready, simply get an F and then life goes on. No one can runaway from death and life certainly does not go on when death has arrived. 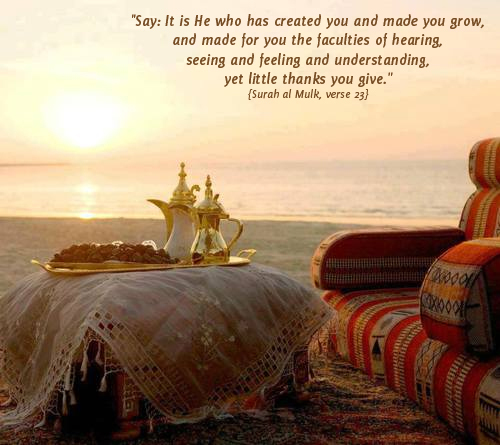 As the Qur'anic verse above describes, Allah (swt) gives us countless blessings but do we ask ourselves why? Or do we think we're entitled to all these blessings? Yes, there are people who have "physical limitations" but they somehow end up being some of the most inspiring, hardworking and grateful people we've ever known. Is this not true? And yet, people like myself, who seem "complete" on the outside are not nearly as beautiful on the inside as people with "physical disabilities". Sometimes the more we have, the more ungrateful and heedless we become as our hearts are blinded by and attached to this world. Gratitude is one of the doors towards knowing our Creator, therefore I try to read and recite Surah al Mulk everyday (inshaAllah), not just because it will intercede for me in my grave and on the day of Qiyaamah, but because it helps me to remember death, to love the Hereafter more than dunya and to also love Allah (swt) and be grateful for everything He has given me - from my fingers to my family - among many other things, inshaAllah. Now that's what I call "milking" al Mulk. Death. Yes, most of the time I don't think about it, because I know I'm not ready to face Him, I haven't done all I should have and I haven't repented all I should have, but then, suddenly, (and I think it' Him reminding me) I caught myself thinking about death, about how will it be, about that it can be right now if my heart stops beating or when I sleep, it can happend. At those times I cry, i cry because I know I shouldn't fear death but instead I should fear Him, God. The Almighty. I cry for all the bad things I made and for the good ones I didn't. For me those moments are like a new start, like a moment on which I get caution of the porpuse of life, of why I'm here. Jazaka Allahu Khairan for this post, and for reminding us that we should read this surat more often, not only that one but the whole Quran in fact. May Allah reward your efforts. 2013 Ramadan Series - You're Invited!